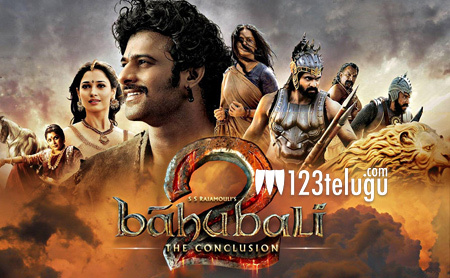 SS Rajamouli’s prestigious magnum opus, Baahubali 2, which released last Friday, is continuing its dream run at the Indian and worldwide box-offices​. Especially, the film is performing beyond expectations in Hindi and has raked in more than 165 crores in its 4 days long weekend. Overwhelmed by the response, Bollywood star filmmaker Karan Johar, who released the film in Hindi, wrote on his official Twitter handle, that, “When the Monday behaves likes day 1…it’s no longer a cinema celebration it’s a cinema revolution! Monday at 40.24!!”. The film has​ been very well received by the Hindi audience and it is performing exceptionally well in multiplexes. Trade experts predict that the film has all the chances to overtake Aamir’s Dangal’s full run collections with its Hindi version alone to emerge as ATBB.